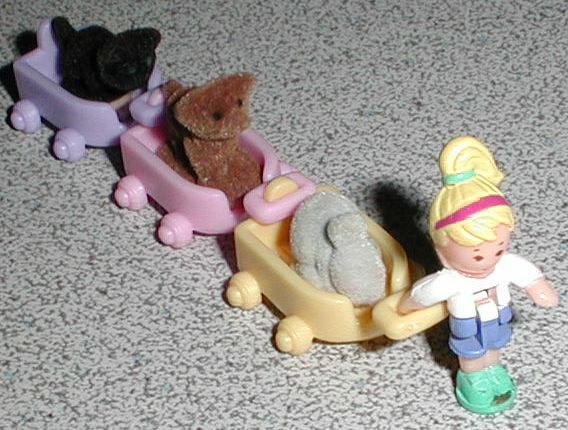 Wagons, one yellow, one lavender, one pink, handles are designed to fit on the "tow ball" on the back of the wagon in front. "It's a lovely day and Polly is taking all her pets for an outing. 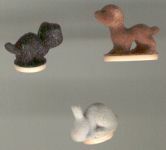 Her bunny Smokey, puppy Rascal and kitten Ebony each have a little cart, and Polly is going to pull them along just like a tiny train going on a special journey"